This book couldn’t have come at a better time! Truly!! My 11-year-old daughter just got a phone. I know. I know. I bought it for her. I guess I shouldn’t complain about it, but I’m going TO! My children are all addicted to technology. It’s a sad state of affairs when I throw my little ones in the backyard and they don’t know what to do. UGH – makes me sick to my stomach. We needed an intervention. It used to come so naturally, right? Playing. It did for me and my generation because we didn’t have all these distractions. We didn’t have these tools that turned off our creativity. There’s no need to use our imaginations while playing apps and video games. The storyline is created for us – one frame at a time. Children are being DENIED these moments. They are being denied moments of boredom. The hours where we remove ourselves from the equation and just let our children exist are a GIFT – truly! When our kids are bored, great things happen!! Forts, spells, castles, dragon hunts and more… When was the last time you saw your sons hunting for dragons? Parent-child slumber parties…don’t forget the popcorn! Stop helicopter parenting yourself—find things that thrill and slightly alarm you all at the same time! I know you know these things. I know you grew up with these things. But we really do need reminders. 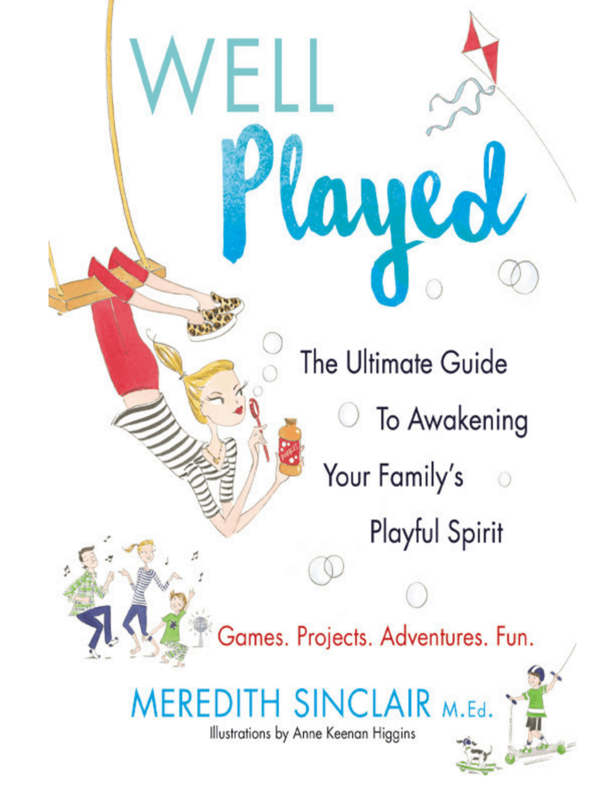 Well Played: The Ultimate Guide to Awakening Your Family’s Playful Spirit gives us just THAT. Technology has crippled us / confused us / misguided us and showed us the wrong things were important. READ THIS BOOK and then step away and unplug everything… throw the kids outside with a sharpie and a cardboard box and see what happens. Magic is only a few giggles away.